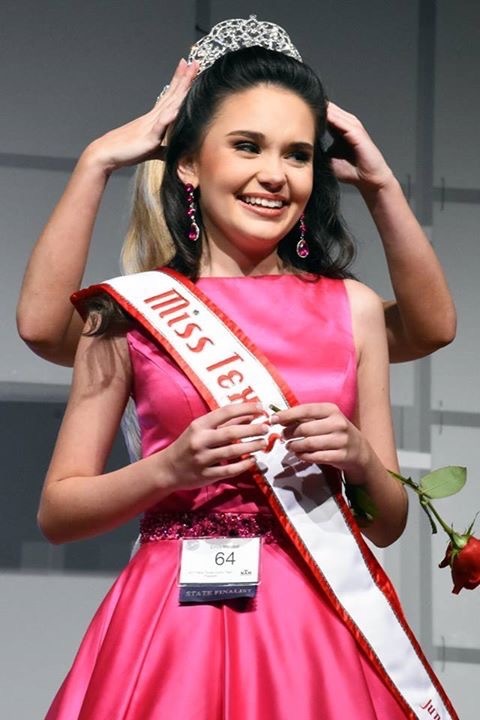 Former 2017 Miss Preteen Texas, Emily McNeal, moved to Poolesville to start her sophomore year of highschool and is now hoping to become pageant royalty again as Miss Maryland in her new hometown. McNeal was the Queen of the Miss Texas Junior Teen pageant in the National American Miss (NAM) 2017 competition. She has been participating for multiple pageant systems for 8 years in Texas, but she had to move to Maryland because of her father’s job transfer. She also received awards for Photogenic 1st Runner Up, Best Thank You Note 1st Runner Up, SpokesModel Winner, and Volunteer Service 1st Runner Up. McNeal says that the move to Maryland doesn’t affect her participation in pageants in any way she says, the only difference for her is the state she’s competing for. McNeal is now preparing for the 2019 Miss Maryland Teen pageant in the NAM system, and she is eager to meet her new Maryland competitors. McNeal first got involved with pageants when she got a letter in the mail informing her about an open call to learn more about NAM. “Admittedly, at first I wanted to compete because I wanted to be a princess, but the more I learned about pageantry, the more I realized it would be a fun way for me to meet new friends, come out of my shell, and enjoy the spotlight,” explains McNeal. For the 2017 NAM pageant, McNeal spent her time preparing for the three main competitions: formal wear, personal introductions, and the interview. She said that she practiced public speaking and walking in heels to get ready for her big pageant. In the NAM system, ten percent of the competitor’s score is dependent on the volunteer work they do. McNeal says that pageants actually helped her realize her passion for volunteering, and she has since become an avid volunteer in her community. She volunteered at the Houston Food Bank, Lunches of Love, the Buddy Walk, and she organized annual sock drives and collected canned goods to donate to local food banks. McNeal has also started her own cause called Be A Firestarter, where she uses social media to encourage people to volunteer. “Volunteering is more than just a requirement for pageants or school, it is an opportunity to make an impact in your community,” says McNeal. Besides becoming pageant royalty, McNeal has learned valuable skills and shared unique experiences during these past eight years. McNeal’s favorite part of competing in pageants is all of the friendships that she has made all across the country. For her, the bond between the other “sister queens” is unbreakable. These pageants provided her with the opportunity to learn real life skills and grow as a person. “I have spoken in front of hundreds of people, modeled, created my own cause, mentor little girls as a role model, and was given a platform to inspire and make change,” explains McNeal.